Still not painting and sketching like I know I should be. 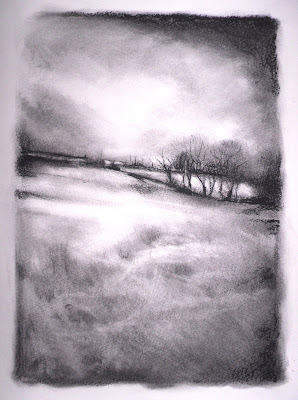 I found some charcoal in my studio, an old piece of sponge and an eraser and played around for a bit. I took some photos on the North Yorkshire Moors and dug those out to work with. It's messy but fun!